a wildlife enthusiast, educationalist, entrepreneur and a mother. 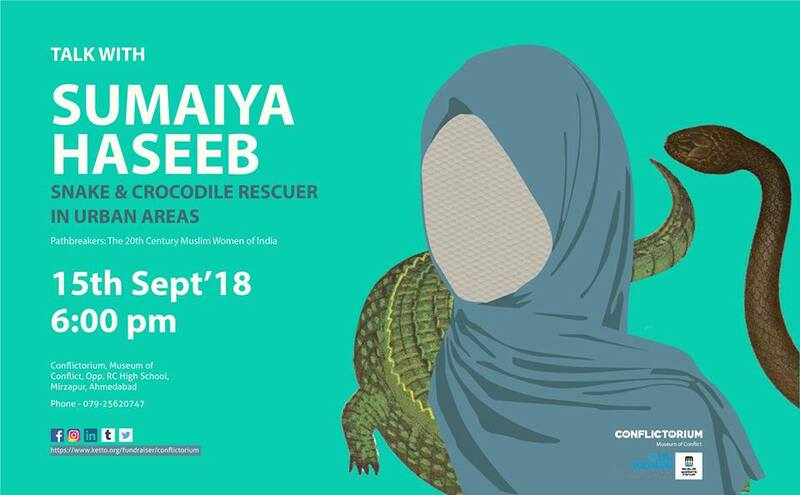 She has been rescuing snakes and crocodiles in Ahmedabad and Baroda for 17 years now. Her passion for nature and wildlife dates back to her childhood days. Her work has been appreciated by the Wildlife Crime Cell and she has been recognized as an official of the WCC for the same. We are very excited to hear her talk about her work. Bring your friends and spread the word!